A key piece of the Cincinnati Reds' roster is battling an injury, as second baseman Brandon Phillips is out of Tuesday's lineup with an injured foot. Per C. Trent Rosecrans of the Cincinnati Enquirer, the Reds scratched Phillips from Tuesday's lineup due to a sore left foot. Rosecrans also noted that Jordan Pacheco is starting in Phillips' place. At 34 years old, Phillips is no longer the All-Star second baseman from his prime years. He's still a solid hitter, posting a .294 average in 2015. But he hasn't had an on-base percentage higher than .328 since 2011, and his slugging percentage has been under .400 in each of the previous three years. Phillips' power has returned a little bit through 47 games played this season, as he's slugging .420 with 16 extra-base hits. Despite the decline in his overall performance, Phillips has managed to mostly avoid major physical ailments. He did miss 41 games in 2014 because of a thumb injury but has not played less than 147 games in any other season since 2008. 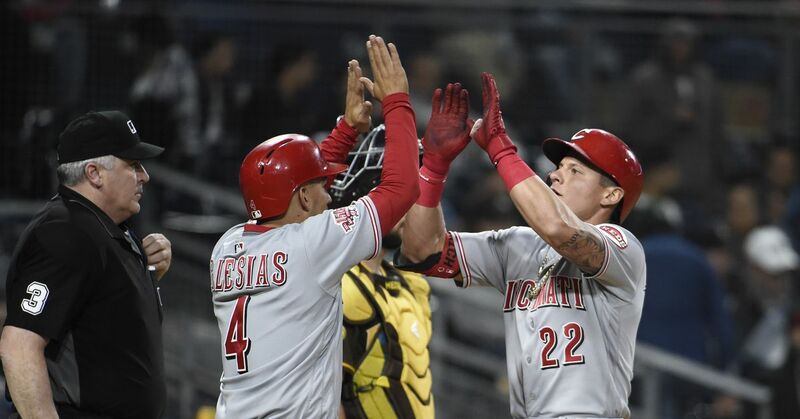 The Reds are already thin on talent as they go through a rebuilding phase. They currently have the second-worst record in the National League at 17-34. Phillips, Joey Votto and Jay Bruce make up the heart of the order. Pacheco has appeared in 30 games for the Reds this season, hitting just .167/.167/.250 in 48 plate appearances. A diminished Phillips is still a valuable piece of this Cincinnati roster as presently constructed, both for his effort on the field and his leadership capabilities.